Adam Walsh left the foggy shores of Newfoundland in 2004 and headed east – far east – to teach English in Cheong Ju, South Korea. He intended on staying for just one year. Of course, like many English teachers before him, he stayed much longer, falling in love with a culture and way of life that was much different from anything he experienced in Canada. Today you can find Adam uncovering some of Newfoundland and Labrador’s juiciest news stories as a Reporter with the CBC in St. John’s, Newfoundland. Or on the weekends, maybe strolling the streets of downtown St. John’s with his wife who, you guessed it, is Korean. You packed up your things and headed to Korea after university. What possessed you to make the move? I did indeed. I had just graduated that spring and was working with the Naval Reserves on the west coast in the summer of 2004 when a friend of mine emailed me asking to come to Korea to teach. He said it would be fun – he had already taught for a year – so I packed up and moved to Cheong Ju with the intention of staying a year. Did you experience culture shock upon arrival? When I first arrived and walked in a sea of dark hair and people who were different from me, it was a lot to take in. Do you think there are any similarities between Korean and Newfoundland cultures? Nationalism. If someone famous has the faintest connection to Newfoundland, we celebrate it. Koreans do the same. What do you love about Korean culture? My favourite part of Korean culture is sitting together grilling samgyeopsal, sharing food and drink and having it last for hours. It’s intimate, a far better way to eat, socialize and be together than the way we do it in the West with our individual plates. Koreans vs. Newfoundlanders: who likes to party more? Haha. Both are very good partiers in their own way. Both have celebrations around food, Newfoundlanders in their kitchens with music afterwards and Koreans after BBQ in the norebang. What’s your favorite Korean food? Do you cook at home or perhaps visit local Korean restaurants? I love kamja tang, bosam and kimchi jiggae. I sometimes cook Korean and I regularly visit the Korean restaurant in my city (J Korean). What’s one of your favorite cultural things to do in Seoul? Any points of interest that tourists should check out? Walk around the area near the Blue House and check out little art galleries. It’s beautiful. -Order fried chicken, pick up beer and sit by the Han River in the spring. 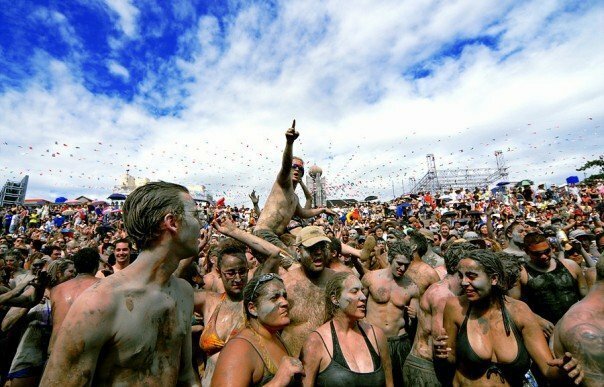 -Boryeong Mud Festival -Busan – take the KTX, actually take the slow train and enjoy the scenery. -I cannot emphasize enough just how great Seoul’s public transit is. -Check out the magazine that gave me my start and is still doing well: Groove Korea. -And Dan Gray of Seoul Eats. He’s the go-to for food. What did you think of Gangnam Style? Aside from its catchy beats, do you think it’s an accurate representation of some of the elite areas of Seoul? I saw Gangnam Style before it got big in the West. I immediately shared it on Facebook. PSY nailed it. Gangnam to me is rich people with fancy cars and plastic bodies. It’s very un-Korean. You must have some funny stories from your time spent in Korea. Is there something you wouldn’t mind sharing? Haha. My former boss decided to take us all out one night. He pulled out a very expensive bottle I thought we would all have a glass of whisky with him but he mixed glass after glass with beer until we finished it. Then we watched him sing Celine Dion at the norebang until late, late at night. It was odd but lots of fun. Koreans are known for being some of the nicest, most welcoming people on the planet. Do you have any examples of generosity or friendship that you’d like to share? I completely agree. My in-laws are the most wonderful people in the world. Even though there’s a language barrier and I’m from Canada and they treat me like their own. 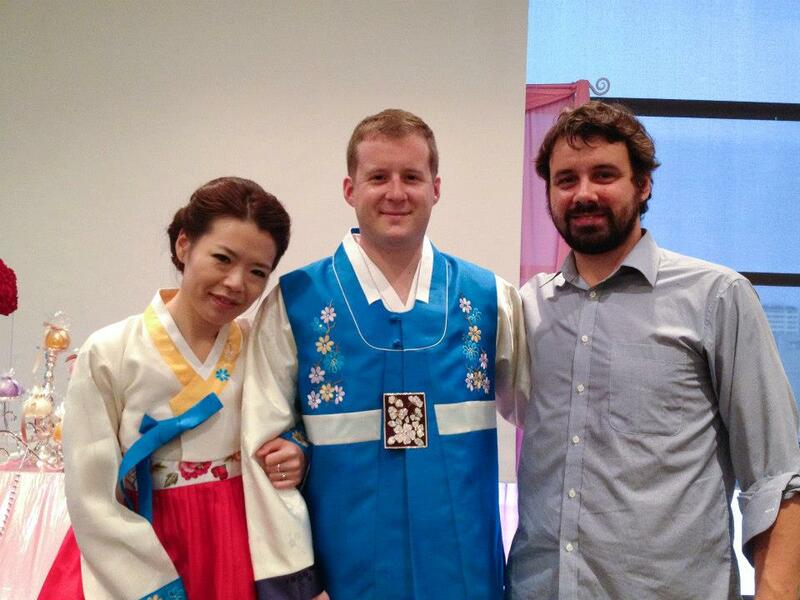 They are what is right about Korea and where it wants to go, vis-a-vis multiculturalism. What do you miss the most about Korea? Well, my in-laws are there, so them of course. But food, friends, the life I had. While in Seoul, you began to write for local newspapers and magazines. How did your time in Korea enable you to break into the journalism industry? The expat community in South Korea is very talented, but at the same time very open to newcomers. Perhaps that makes sense because everybody at some point is a newcomer. So, I managed to get in with an expat magazine and that got me the experience I needed to get hired by the Korea Herald. I understand that you kept a blog while you were in Seoul. How did blogging prepare you for a career in journalism? How do you think social media has changed journalism? Blogging is a great way to start. It helped me stumble my way through the growing pains of writing and figuring out who I was as a writer/journalist. I truly believe we’re in a great age for journalism on the information side of things (job-wise not so great if you ask people in print). There are so many ways to tell stories now thanks to the internet. Twitter is fabulous when used properly. You get instant news from where events are happening; you also get links to detailed articles. Do you have any advice for people who are thinking of also teaching ESL? Do it. It’s a life changing experience that you will never forget. That said, do your homework, speak to a past teacher from where you want to work. Do you have any plans to return to Korea? I’d love to live in Korea again. If I could work there as a western journalist, it would be amazing. Adam lived in South Korea for 6.5 years in total. Follow him on Twitter: @adamfwalsh. All photos courtesy of Adam Walsh.